I applied for a UK visit visa to attend a British Army assessment which provided me with two dates, the first on 20-22 February and the second in March. 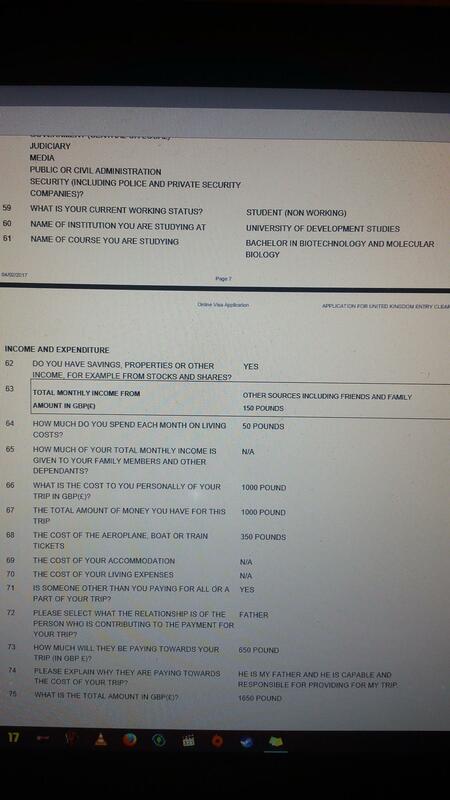 I stated clearly in my visa application my total a monthly income and the amount I spend every month. However, on my refusal letter, it was stated that I "declared no income." I also submitted a letter from my school and a permission letter to attend the British Army assessment. I used these to show my strong ties to my country but, it seems, that was overlooked. What can I do to improve my next application so that I can attend the assessment in March? This question grabbed my curiosity enough that I've checked your previous questions. Namely, you've asked a question about, I think, this application which has a lot of relevant information. You were refused under paragraph 4.2 points a and c which means that he didn't believe that you are a genuine visitor and that you will leave the UK at the end of your visit. In human terms, this means that ECO thinks that it's likely that once you hit the British soil, you will go underground. 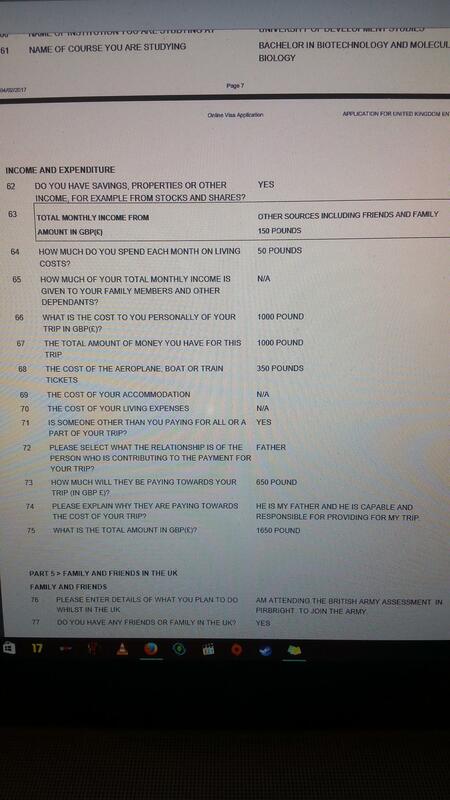 While you have declared income of 150 pounds on your application, it's source isn't clear and unless you have provided clarification of how is that income (and from the previous post it doesn't seem to be the case), it most likely will be seen as you being dependent on your family. Your only solid tie seems to be the university course, but that alone is usually not enough. If you want to pursue with another application, then your best course of action is to seek a solicitor or a seasoned adviser to write up your next application and center it around a military career in your close family, which would explain your reasons a bit better. Seeking a career in the military in your home country could go a long way too, as it would explain the sudden urge to join an army. You applied for a Standard Visitor Visa to attend an assessment session in the UK with the British Army. You are a student, are not working, have no dependants and entirely rely on your father to fund this trip. Hate to break it to you, but at this point your chances of joining the British Army are slim. The simple fact is that they want to see that you are able to support yourself while in the UK, without engaging in illegal employment. Almost invaribly, this has to be shown through several consecutive bank statements of your own. Furthermore, they want to see that you have family or financial ties making you able to say "this is why I have to go back home"
If you're serious about wanting to join the British Army, your father will have to pay for a qualified immigration solicitor. This website provides a good starting point. If you're lucky, they may tell you there is a way to secure a visa. In this case, co-operate with them and follow their advice scrupulously, because again, your current circumstances are not in your favour. On the bright side: in another question you mentioned having three sisters who are British soldiers. Did you mention that when applying? If not, you definitely need to explain it to whatever solicitor you hire, and put it forth in the application in a very specific way that only a solicitor will be able to do correctly. If it becomes clear that being a soldier is a credible choice of career for you, your credibility as an applicant could massively increase. However, this is by no means a guarantee. Not the answer you're looking for? 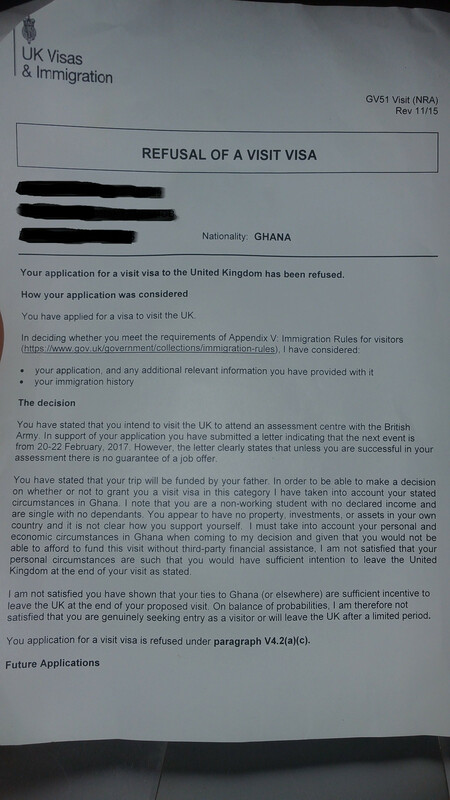 Browse other questions tagged visas uk visa-refusals ghanaian-citizens or ask your own question.